This is a brand new copy of this out-of-print book. Commentary by Wallace A. Wyss. A good read, mostly photographs of stock and modified Panteras. 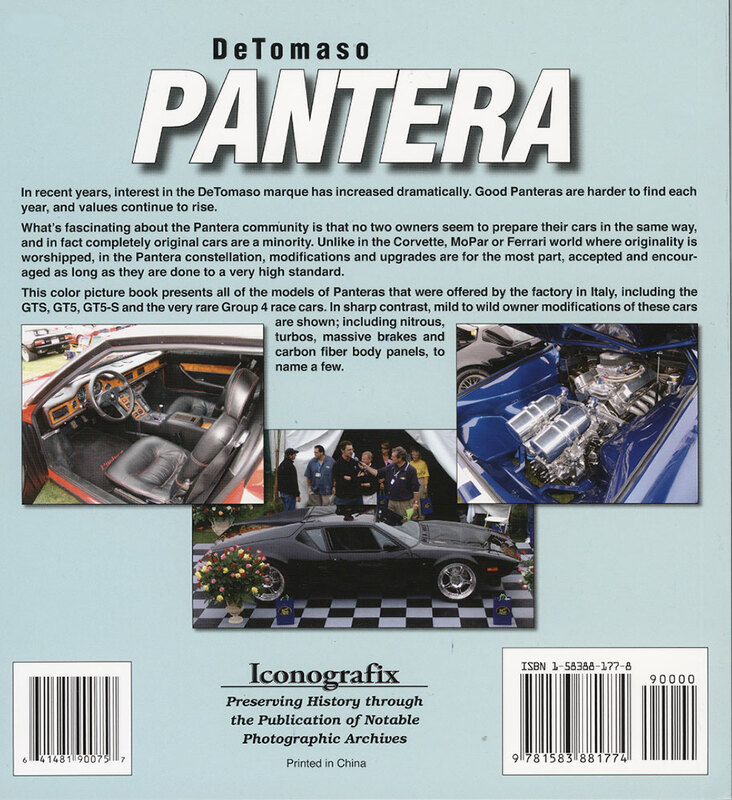 The book was originally created not so much as a comprehensive history of the marque but rather as a collection of photos and information featuring the Pantera as owned and operated by Pantera enthusiasts in the U.S. and Europe. 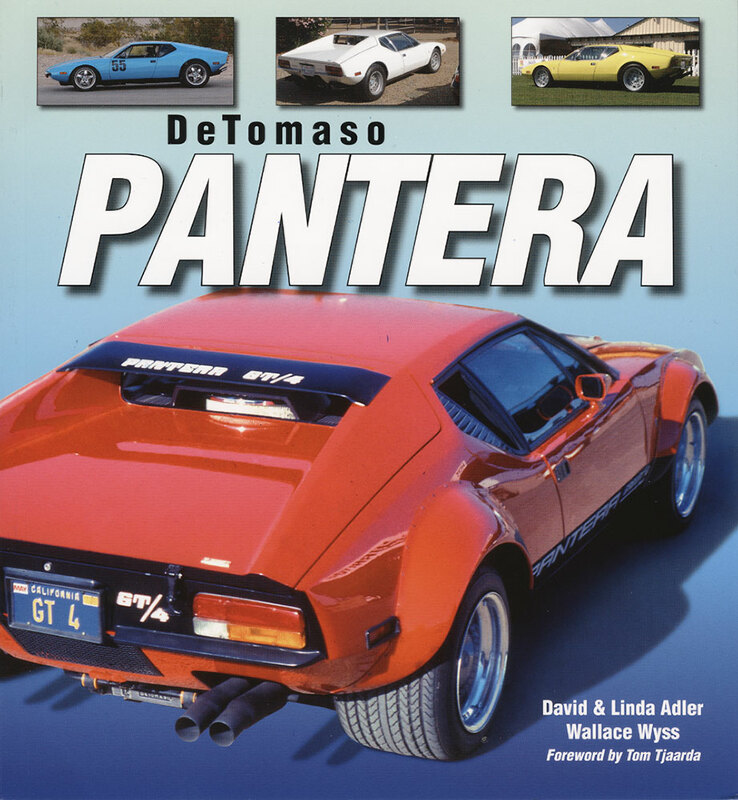 The book will give the Pantera enthusiast an impression of how other owners have prepared and modified their cars.presented their cars.Price: $99.95 plus shipping.